If you are looking for a website that celebrates the local flavor of Dayton, you have to visit DaytonMostMetro.  The lively, positive conversation and interesting posts will give you a real sense of what is going on in the Dayton area. Bill Pote is the gracious host, stop in and join the conversation. One very cool thing about the Dayton area is that you can start at Third and Main, and drive in nearly any direction and see all sorts of homes- everything from lofts, past historic homes, into post-war inner ring mid-century modern homes, newer subdivisions, small farms, and within 20 minutes you can be cruising past row after and tidy row of corn and soybeans. Dayton, like most of the Rust Belt, is wonderfully diverse in many ways, and that diversity is visible in all the different real estate options available to us. We could say there’s a dream home in Dayton for everyone. She called one late-winter afternoon. You can finish the post here.